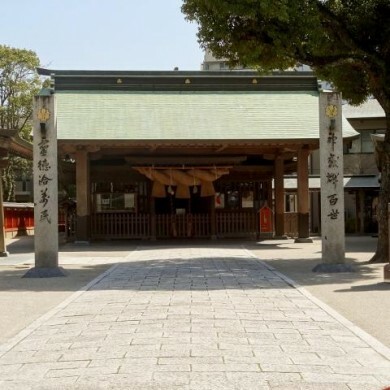 This shrine is dedicated to the gods of Sokotsutsuo-no-kami, Nakatsutsuo-no-kami and Uwatsutsuo-no-kami and it was officially designated in ancient time as one of the high ranked shrines. 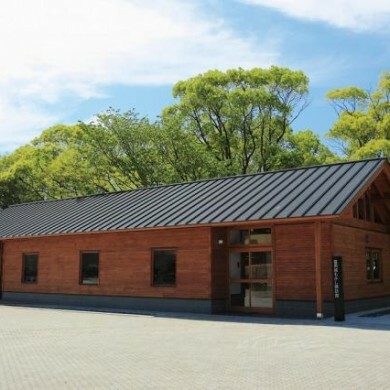 It was once admired as the greatest shrine of Chikuzen area (northern part of the present Fukuoka prefecture). 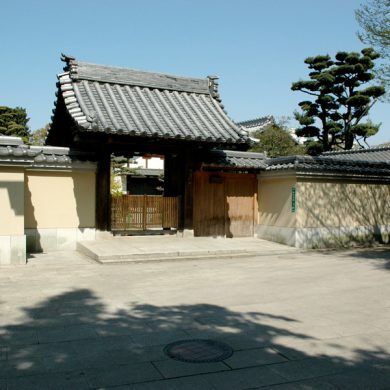 The surrounding area was originally a cape at the mouth of Nakagawa River flowing into Hakata Bay. 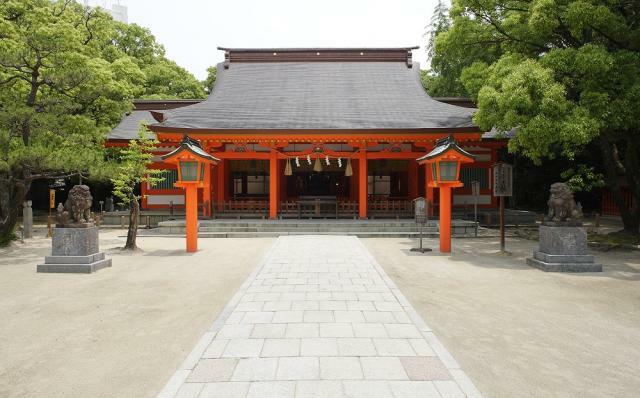 It was worshipped as a tutelary shrine of navigation. The gods were also worshipped as gods of Japanese poem (waka) and ancient famous poet Sogi visited this shrine to pay respect to the god. 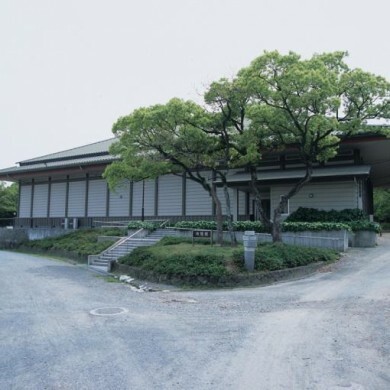 The straight shaped roof of the main hall of this shrine is one of the specific features of ancient architectural style, very contrastive to the later Buddhist style. 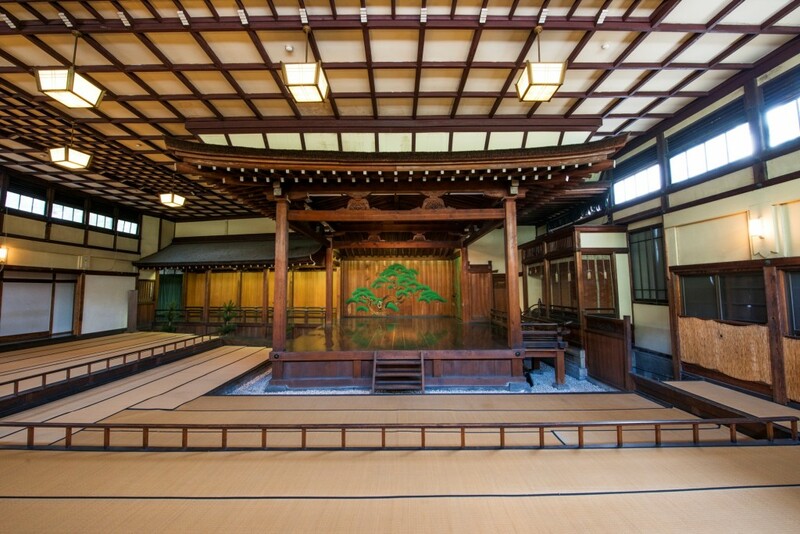 The main hall is designated as a national treasure and the copper axe and sword of the shrine are designated as important cultural properties of the prefecture. By Bus: Take Nishitetsu bus and get off at Sumiyoshi stop.